Goa’s biggest religious Hindu festival kick-starts from March 3rd and continues in various rural parts of Goa, spanning over a fortnight, with different days marked for celebrations in different areas. 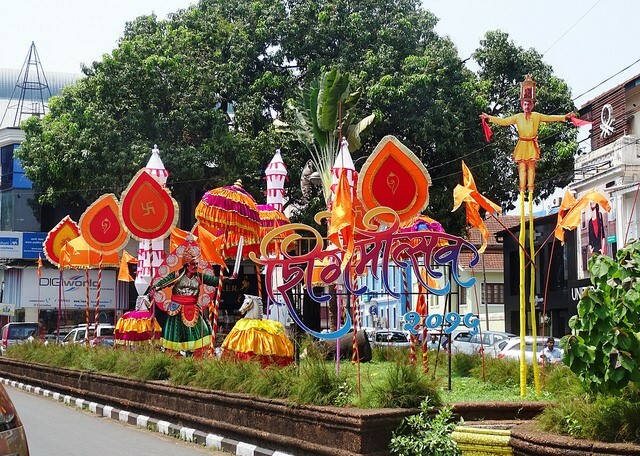 Shigmotsav is a spring festival celebrated in Goa showcasing the traditional folk dances, street plays and elaborately built floats that depict various scenes from regional mythology. Musical instruments like drums, flutes and dhols which are also part of the parade lifts up your mood. One can also call it a Hindu version of Carnival. The festive parades will begin from Ponda and will follow to the other towns in the next few days. The float parades consisting of Chitrarath, Romtamel and Folk Dances will begin in Ponda on 3rd of March. Shigmotsav in Goa is celebrated on the full moon day in the month of Phalguna which is the last month of the Hindu calendar. Festivities start with community prayers to the village gods and goddesses. 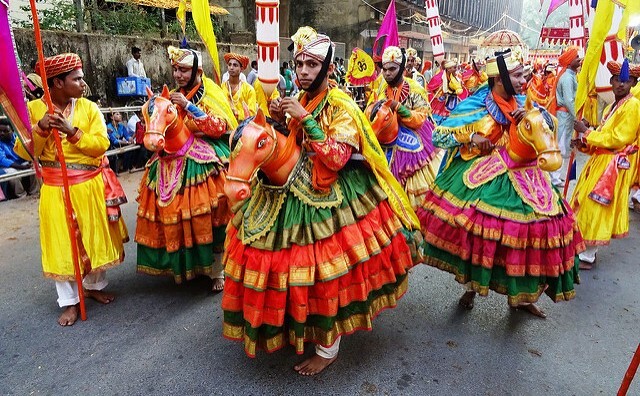 The last few days of this auspicious fortnight is when the festival parades are held in Goa. 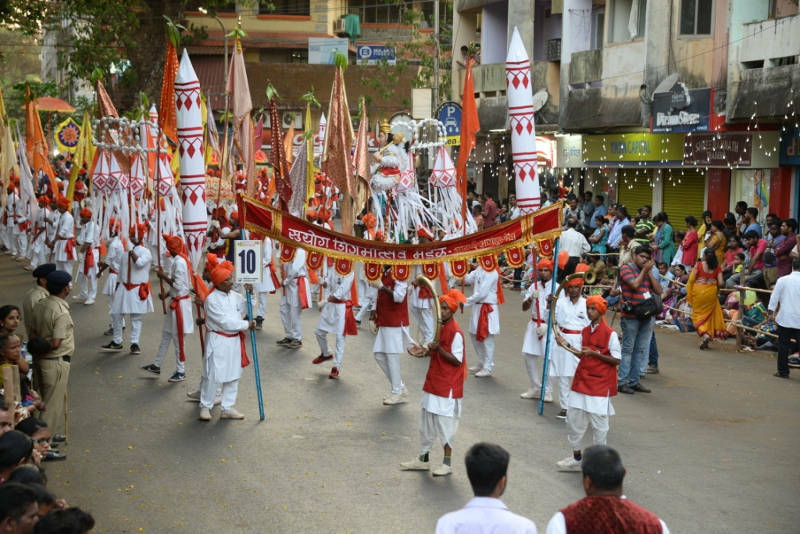 There are two varieties of the Shigmo festival, the Dhakto Shigmo and the Vhadlo Shigmo (similar to how North Indians celebrate Choti and Badi Diwali). The Dhakto Shigmo is celebrated by the rural population, farmers and the labour class, whereas the Vhadlo Shigmo is of greater importance and is celebrated all over the state with huge pomp. Celebrated to welcome the season of spring and happiness, Shigmotsav had been typically started to honour the homecoming of the warriors who had left their homes and families to fight the invaders. Traditional folk dances and enactment of mythological scenes is a major highlight of this parade. Among the innumerable folk dances encountered in Goa, the Shigmotsav festival 2018 will showcase Talgadi, Mando, Kunbi dance, Virabhadra, Fugdi, Ghode Modni, Lamp Dance, Romtamel, Dekhni and Dhalo. Traditional folk dances like the above mentioned, are performed on streets in massive troupes along the procession, showcasing the tradition of Goa. Apart from the dances, people also play local musical instruments at the procession in a very synchronised manner. From huge cymbals and drums to Semi-circular natural trumpets, the musical showcase at these parades are a treat not just to the eyes but your ears too. The shimmering floats with extensive lighting and sound effects move along with the parade gripping the attention of a huge crowd that alights the streets of Goa. The streets are dotted with Goa’s choicest delicacies. Here’s the elaborate festival schedule of Shigmotsav or Shigmo 2018 to be held in Goa during March 2018. 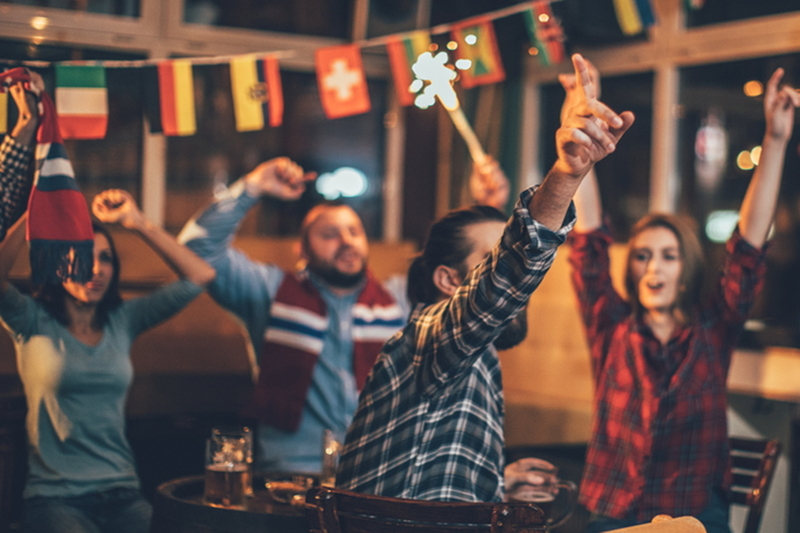 No matter which city you choose to attend this colourful festival, just make sure to be there early by atleast 3:30 or 4 pm. The later you go, the more chances you might not get a good view or position to stand/sit and watch the Shigmo parades. Want more such local tips and updates about the day-to-day happenings in Goa. Download Lokaso app and get first-hand tips from the locals of Goa themselves.